American reality television star Kylie Jenner poses for photographers at the launch of her new skin care range, Nip and Fab at Westfield in west London. 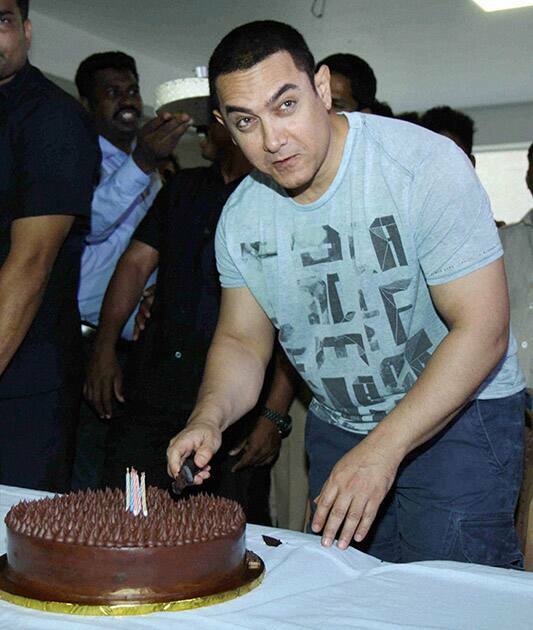 Bollywood actor Aamir Khan cuts a cake to celebrate his 50th birthday at his residence in Mumbai. A model displays a dress designed by Iraqi designer Senan Kamil during a fashion show at Baghdad's al-Rasheed Hotel. Contestants of Femina Miss India 2015 pose as they were unveiled at an event in Mumbai.